For more than 90 years, Samford University’s McWhorter School of Pharmacy has prepared pharmacists who transform lives, and this year, the school is proud to continue this great tradition, announcing a record number of fourth year Doctor of Pharmacy students matching with a postgraduate year one (PGY1) pharmacy residency program. 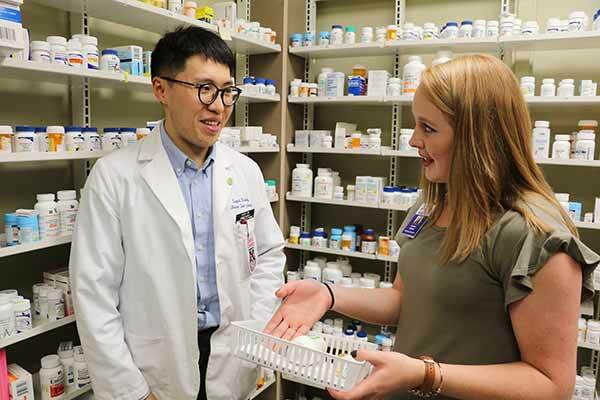 With 33 students matching with a PGY1 residency, McWhorter School of Pharmacy achieved a 69 percent match rate, which is higher than the national average and the highest of any school of pharmacy in Alabama. This competitive process is facilitated by the American Society of Health-System Pharmacists (ASHP). While graduates are not required to complete a residency before they begin practice, PGY1 pharmacy residencies are designed to provide additional pharmacy practice experience in an area of the graduates’ interest. Students were chosen for residency programs in 15 states across the country, and PGY1 residency opportunities can be in the community, managed care or health-system environments. Some programs offer further specialization such as pediatrics. Linh Tong, Huntsville Hospital, Huntsville, Alabama.